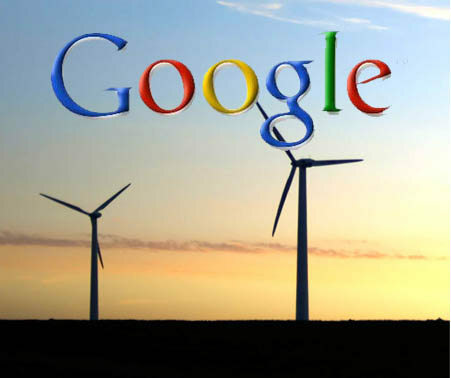 It’s no secret that Google is interested in clean energy technology. The company has previously invested in enhanced geothermal technology, smart grid ventures, electric cars, and wind power. And now Google is forming its own energy subsidiary called–wait for it–Google Energy. The Delaware-based company was quietly formed on December 16, 2009, and earlier this week it put in a request to buy and sell electricity on wholesale markets. What, exactly, is Google up to? Nothing as devious as taking over the power grid, as it turns out. The search giant is hoping to use its new venture as an aid in its quest for carbon neutrality. Presumably, that means Google Energy will help Google offset its power use by buying clean energy credits and selling excess power off to the grid. Google already has a 1.6 MW solar array at its Mountain View headquarters. Knowing Google, however, the new energy subsidiary might be more than meets the eye. Company reps admit that there aren’t any concrete plans for Google Energy yet. That means Google isn’t ruling out the possibility of becoming a utility sometime in the future. It wouldn’t be all that surprising–Google has already stated its plans to make renewable energy cheaper than coal. The company says that its “over-arching vision is that one day a large portion of the world’s vehicles will plug into an electric grid fueled by renewable energy,” so why wouldn’t it also want to be in charge of doling out that energy?